Valentines day balloon rides specials! Often times Valentine days sneaks up on all of us in the hustle in life. Have you ever considered giving that special loved one a memory of a lifetime in a valentines day balloon ride? Many people don’t realize but the middle of February is the busiest time of the year for hot air balloon rides and thats right! Many times our customers will call us asking for a last minute balloon ride and we can not accommodate them. Well we have good news at Arizona Hot Air Balloons, now we can! As always AZ Hot Air balloons is a first come first serve company. We will continue to book balloon ride customers until we are out of spots. Then we will be extending our valentine day gift certificate special. If you are interested in getting our discounted Valentines day balloon ride certificate, you are free to call us. It don’t matter if you’re a local Phoenician or if you are here visiting relatives and just looking for some fun stuff to do in the area. Take a balloon ride with us and forever be that one that shared the unforgettable memory with your special loved one. 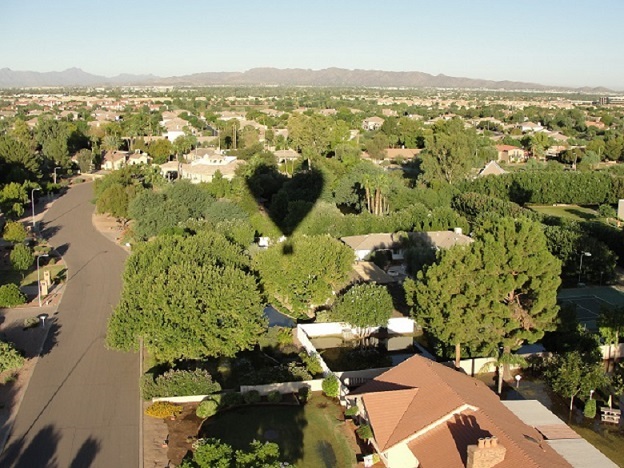 Your special someone will never forget that you were the one that took them on their very first hot air balloon ride in Arizona! Take her to a really nice spa and have her nails and hair done. Contact us for a Valentines day balloon ride certificate for a discounted rate and then give it to her over a romantic dinner! She will be yours forever! Remember all of our balloon rides come with a flight certificate so you and your loved one can have true bragging rights that you went together on this hot air balloon ride. Our Valentines day ride certificates will be honored for up to one years after purchase and will be redeemable starting Feb 15th 2016. Don’t be that guy that waits till the last minute to give her the memory of a lifetime. Call and book your balloon ride today! Would like hot air balloon ride in Mesa on Valentines Day. Will only be there one week. If you make a reservation and weather is bad that day, do you get a refund, or do you not pay until you actually go? We do not pre charge you. We hold with a debit or credit card and you pay the day of the flight! you can not due to any reason… You owe nothing. We just hope you look us up next time you come through! Call the office at 480-282-8686 for details.